"I think he's always been planning for this for a long time, so he's well prepared"
Oleksandr Usyk is preparing for his heavyweight debut and sparring partner Fabio Wardley says the Ukrainian is focusing on his renowned skills and not his size. The former undisputed cruiserweight champion will take on Carlos Takam in his maiden bout in the top division at a likely location of Chicago in May. 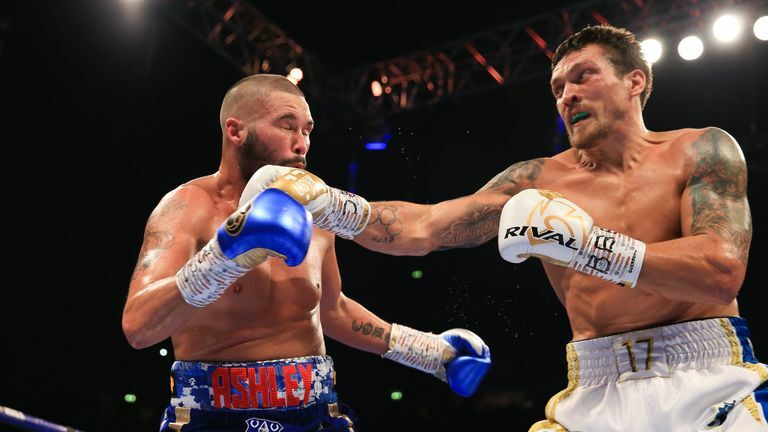 Wardley was called back into camp after sparring with Usyk for his knockout win over Tony Bellew in November, and gives a first hand account of the 32-year-old's razor sharp reflexes and supreme ring intelligence. When were you asked to return to Usyk's training base? I assume they thought I was a good sparring partner and enjoyed having me there as part of the camp. A couple of weeks ago, they just said: "Look we're starting up again, come back over and get some work," and I jumped at the chance. What is Usyk's mindset ahead of his move up in weight? Hes brilliant. He's the same as before. Him and his team are just a great set of people. They are really accommodating, they look after you, and besides that as well, they are cool, funny people. We're always having a little bit of a laugh and a joke. They are great to be around really. We spar three times a week. It's me and a couple of other sparring partners. Between the lot of us, we're all putting him through his paces, really pushing him. Overall, I've sparred about 40 rounds with him now. 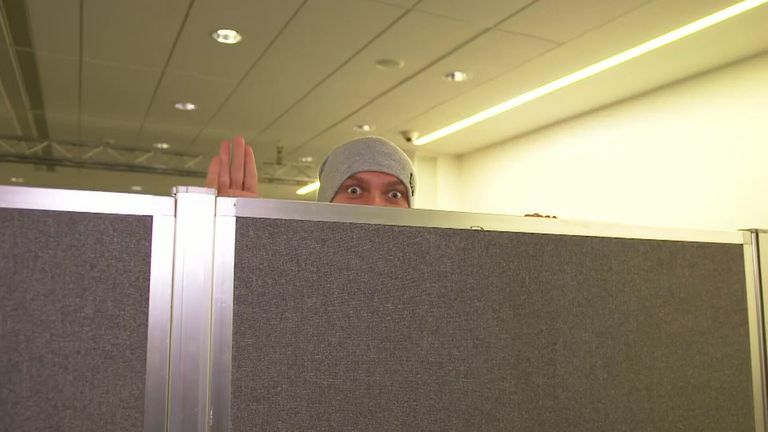 Has Usyk packed on extra muscle? He looks a bit thicker. He's filled out a bit, but I think even though he's stepping up to heavyweight, he knows the type of fighter he is. He's not trying to bulk up massively, put a massive amount of weight on, and become an imposing figure like that. He knows his game, he knows himself, and he knows his style and how his body needs to be and what shape he needs to be in for that to work. He's looking a bit thicker and a bit bigger, which is great, because obviously you're going to need that in the division, but he's still maintaining the same punch output, and the same type of energy he brings to any fight he has. Does Oleksandr have the same speed and agility? Definitely. That is what his whole style is based around and I think the step up to heavyweight is not going to change that for him. I just think he's going to have a bit more power to his punch. He'll build a game-plan, depending on who's he fighting. He's very smart and his team are very smart, and they seem to be building the right game-plans for whoever they are against. He will base it around his skills, definitely to keep it at range, to pick and move, and ultimately to bring out the sweet science of his skill. I think that's how he'll approach all of his fights. Can Usyk cope with the bigger stature of opponents? He'll probably have one or two, not warm-up, but build-up fights to get used to the weight, to get used to being in the ring with someone of that size. It's not something he's ever not been aware of, because the last time and this time, he's always had heavyweights there anyway [in camp]. I've never really been there when there's been a cruiserweight. I think he's always been planning for this for a long time, so he's well prepared. Do you think he'll be one of the world's best heavyweights? He's definitely up there, 100 per cent. I think those top four names are the only ones that he will really have to double down on, and really plan for. What can we expect from your next fight on May 10? I want a few more rounds in it, probably three or four, and finish off with some sort of KO to let people know that I carry power. I want to be on a constant roll, so finish up in May, and hopefully by then, Dillian has got his shot, and all that is sorted and I can jump onto that [Whyte's July bill] as well. 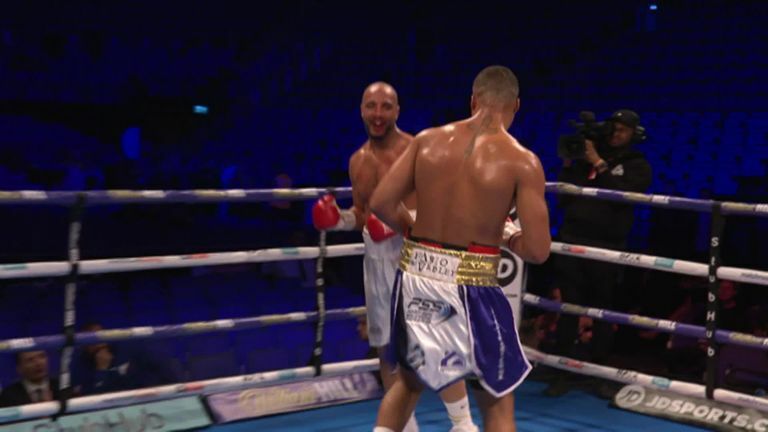 Fabio Wardley returns to action on the JD NXTGEN bill, which features Jordan Gill against Enrique Tinoco, Leigh Wood, and Felix Cash in Nottingham on Friday May 10, live on Sky Sports.